Through the eyes of a child and their parents, how do you think Madurai would be rated among the cities in Tamilnadu state? … Perhaps the image of Madurai is not rated very high. But if we look carefully, it would strike us and shows the things that makes Madurai a great place to live. 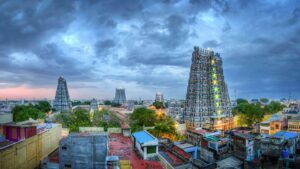 First and foremost and mostly unknown to most people ,is the fact that Madurai is one of the least polluted cities in Tamilnadu. Health benefits of that is that children living in Madurai are less prone to Allergic disease such as Asthma and allergic cold symptoms, wheeze and Eczema. Health care hospitals for a child have sprung up in Madurai and no more there is dearth of infrastructure and equipments to deal with the most complex health issues of a child. There are only very very few reasons to go to metropolitan cities such as Chennai or Bangalore for child health care needs. Madurai has become a hub for quality schools. All needs of a child is satisfied be it matriculation, state board, check, ice or igcse.. international schools such as vikaasa international school and most sought pan Indian chain of schools such as Delhi public school have arrived in Madurai. Very decent apartments have sprung up in Madurai. Buying a land to build your own house is still affordable in Madurai. Child hospitals are not faraway from the premises.